WASHINGTON, D.C.– Released today, a comprehensive multi-agency review of Corporate Average Fuel Economy (CAFE) standards makes clear that automakers have the technologies they will need to achieve or surpass fuel economy standards already proposed for model years 2022-2025. The technical analysis rebuts recent complaints by automakers that the standards they have previously agreed to are too challenging. Instead, the report demonstrates that current goals for the 2022-2025 fuel economy standards are both practical and cost-effective. As the agencies’ report shows, automakers are developing and deploying new and improved technologies at an impressive rate, including continuously variable transmissions, high-compression engines, and 48-volt batteries. These technologies are helping automakers beat existing fuel economy standards, all the while achieving record sales and high profits, and put them on the path to achieve the 2025 standards in a cost-effective manner. Using the previous higher cost estimates, Consumers Union found that consumers would still save thousands of dollars in fuel savings over the life of a vehicle that achieves the 2025 standards. Today’s news that these savings will be even greater should come as welcome news for families working with tight budgets. Recent auto industry complaints rehash past arguments by suggesting that lower gas prices may make achieving these standards too difficult and that consumer choice is constrained by such rules. But the fuel economy targets should not be altered, as a matter of sound policy, by temporary and perhaps limited fluctuations in fuel cost. In addition, the current standards preserve consumers’ choice of vehicle, because fuel economy standards are now “footprint-based,” meaning that an automakers’ specific fuel economy target for its fleet will depend on the size and mix of vehicles it sells. Fuel economy targets are lower for SUVs and trucks, therefore fleets with a higher proportion of larger vehicles have lower targets to meet. Americans value fuel economy in new car buying decisions, according to a June 2016 Consumers Union survey. The findings show that strong majorities of Americans believe increasing fuel efficiency is important (84%) and that the government should continue to set standards for higher fuel economy in cars and trucks (70%). More than half of all Americans (53%) expect to have higher fuel economy with their next vehicle purchase, across nearly every type of vehicle. 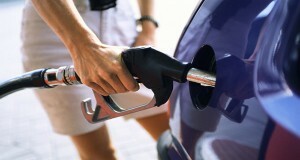 CU also conducted a study that found that higher fuel economy is correlated with higher owner satisfaction. Fuel economy was among the most important factors in owner satisfaction, with vehicle reliability rated as the most important factor. “Today’s report makes clear that the federal government should stay the course on improving fuel economy standards for model years 2022-2025. The data show that improving fuel economy puts money in the pockets of consumers even in times of low gas prices,” said Baker-Branstetter.